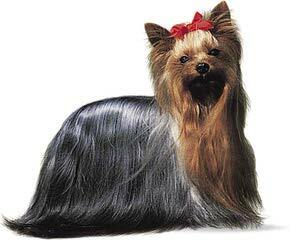 My name is LeAnn Rhinehart and I love Yorkshire Terriers! There is nothing quite as satisfying as opening the door after a long day at work to be greeted by a sweet, smiling face and a wagging tail. When you are ready to experience the magic of being owned by a Yorkshire Terrier, come to West Alabama Yorkies! I specialize in traditional Yorkies but, I also have the Parti, and Chocolate colors. My puppies weight at maturity averages 5 to 7 pounds. They are raised with a great deal of care by their mothers and me, insuring they have a good start in life. I am passionate about Yorkshire Terriers and am happy to share the love with anyone who wants to provide my Yorkies with a safe, happy home.